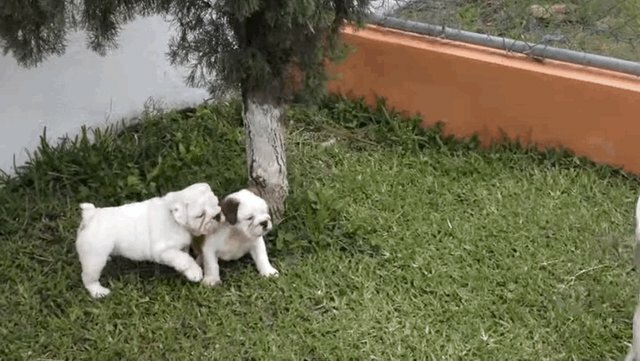 Cute wrinkly bulldog puppies can make anyone excited -- even other dogs. 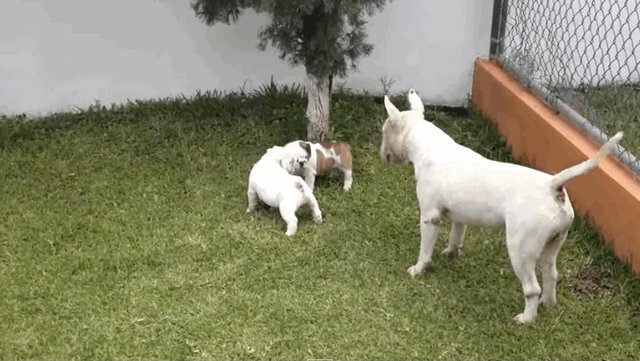 This bull terrier is pretty stoked to have found these two chubby little playmates -- so stoked, that he can barely keep his paws on the ground! 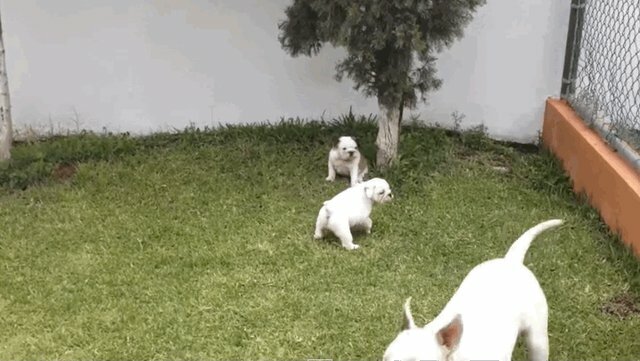 Cute puppies call for a celebration of leaps and bounds! 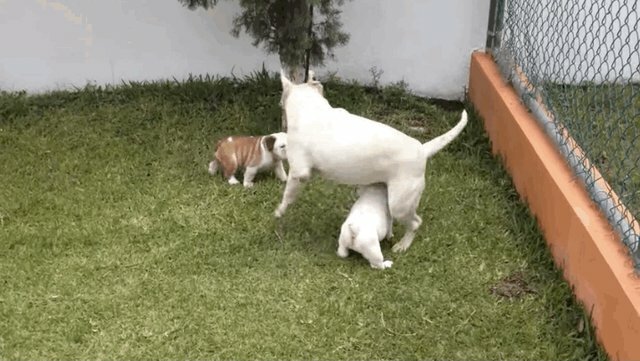 But the bulldog pups aren't quite sure what to think of their big new friend -- especially when he executes such a stunning display of acrobatics. One of the pups decides to be a bit brave and get a closer sniff at this rowdy creature. The other puppy, however, seems pretty content to let her sibling take the lead, and prefers to spectate at a safe distance. In the end, though, this trio warms up to one another enough to give some affectionate nuzzles of friendship.